As the partial government shutdown moves into its third week, the House and Senate are easing their way back to D.C., starting their work week on Tuesday. 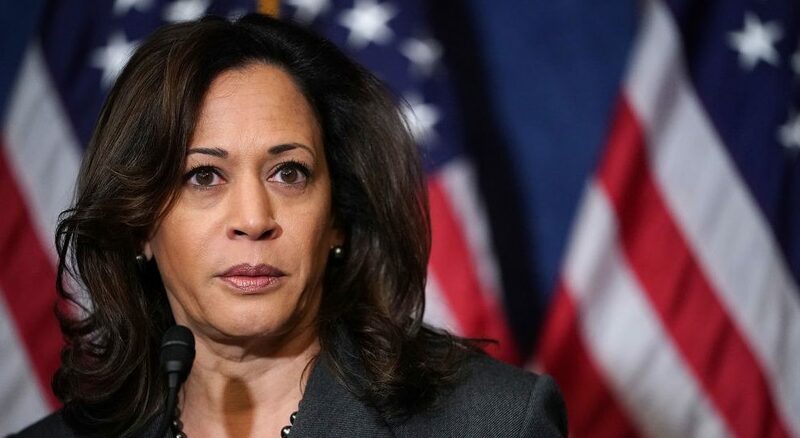 Sen. Kamala Harris will release her biography, “The Truths We Hold: An American Journey.” She is expected to join the panelists on ABC’s “The View,” as well. Democrat Jared Polis will be sworn in as the governor of Colorado before attending the “Blue Sneaker Inaugural Ball Celebration” at the Denver Museum of Nature and Science. Harris will attend a book tour event at George Washington University at Lisner Auditorium in Washington, DC. Democrat megadonor Tom Steyer will attend “Right to Learn,” an education event at the Future Farmers of America (FFA) Enrichment Center in Des Moines, Iowa. Harris will attend a book tour event at Kaufmann Concert Hall in New York City. The NC State Board of Elections and Ethics Enforcement at North Carolina State Bar will conduct a hearing on the election results in NC-09. Former HUD Secretary Julian Castro will announce his plans to run for president in 2020 at Plaza Guadalupe in San Antonio, Texas, where he previously served as mayor. Harris will attend a book tour event at the Curran Theatre in San Francisco, CA. Harris will attend a book tour event at Barnes & Nobles at The Grove and at Wilshire Ebell Theatre in Los Angeles, CA. With just three weeks until Election Day, debate season is in full gear in House and Senate races. Senate debates for Arizona, Missouri, Nevada, and Wisconsin are all taking place this week, along with key House races in Michigan, Iowa, Ohio, and Nebraska, among many others. Meanwhile, President Trump is hitting the road on behalf of candidates across the country. He’s in Florida Monday, surveying damage done to the panhandle coast by Hurricane Michael, and then handing out the medal of honor on Wednesday. He’ll hold rallies in Montana and Arizona later in the week. 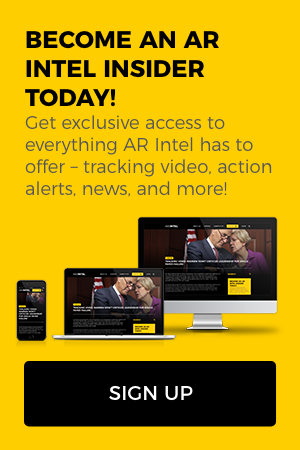 For further details on these updates and much more, sign up for a free 7-day trial of AR Intel! Leftwing environmentalist group the Sierra Club recently announced its support for Rep. Jared Polis’s (D-CO) gubernatorial campaign. The group is putting its money where its mouth is by launching a $600,000 campaign in support of the liberal Democrat’s campaign. Polis is currently locked in a primary battle with the state’s lieutenant governor, the former state treasurer, and a former state senator. The Democrat primary in Colorado will be held on June 26. In its $600k announcement, the Sierra Club cited Polis’s “bold leadership” as cause for their endorsement, but also “his support for 100% clean, renewable energy.” And while it’s true that Polis has supported some of the farthest fringe ideas when it comes to energy, the wealthy congressman’s investments reveal some glaring hypocrisies in his record. Polis, who routinely ranks among the richest members of Congress, is worth nearly $400 million, ranking him second in the House according to OpenSecrets.org. That largesse has gotten him into trouble when it comes to his investments, according to an AR Intel investigation. Despite actively pushing for an anti-fracking measure in 2014, Polis’s hedge fund, Jove Partners, owned a $752,000 stake in Canadian Natural Resources Limited and a $2.28 million stake in Rosetta Resources, Inc. Both companies engaged in fracking and drilling in shale basins. Even more directly, Polis reported investments in companies that engage in hydraulic fracturing in his 2016 personal financial disclosure. That includes between $1,000 and $15,000 in Gryphon Petroleum and Cirque Resources LP, each. Cirque helpfully provides a graphic of how they operate on their website, complete with a photo of a rig with a rainbow. However, some of Cirque’s drilling occurs in Colorado, in northern Weld County, according to Energy & Mining Magazine, the very county in which Polis lives. But Polis’s hypocrisy doesn’t end there. Despite frequent attacks against the oil and gas industry, Polis’s 2016 financial disclosure reveals he’s invested hundreds of thousands of dollars in exchange traded funds (ETFs) that own shares of Royal Dutch Shell, one of the largest publicly traded oil companies in the world. Shell’s website notes that it uses hydraulic fracturing or “fracking” to “break open rock and release natural gas.” The same is true of Polis’s investments in ETFs that are invested in ExxonMobil (the largest gas producer in the world), BP, Total SA, Chevron, and the list goes on and on. Polis has been described as the “poster boy” for going after oil companies and those who use fracking to produce energy resources. That’s likely how he scored the endorsement of a group like the Sierra Club. But Polis’s financial dealings complicate his record. It’s hard to be the poster boy for an issue when you’re profiting from the industry you attack the most.